Are You Looking to Buy a No Health Questions Life Insurance Policy? If so, you’ve come to the right place. Today, it’s quicker and easier than ever before to get easy issue life insurance without having to answer any questions about the status of your health, or your health history. If you are between the age of 45 to 85, your approval is guaranteed. What is Easy Issue No Question Whole Life Insurance? With easy-issue guaranteed policies there is no health check-up and you won’t have to answer any questions about the condition of your health. Even if you have been turned down by other life insurance companies, you can still get insured. Who Wants No Question No Exam Whole Life Insurance Coverage? Want a Simplified Issue life insurance plan. Don’t want to take any health examination. Don’t want to answer any questions about your health history and current health. New retirees whose group life insurance has terminated and who want a small permanent life insurance policy to cover final expenses. Need life insurance to cover your funeral, burial and final expenses. Term life insurance policy owners who purchased temporary life insurance years ago and now require a small amount of permanent guaranteed lifetime life insurance coverage. Guarantees – People age 45 to 85 won’t be denied coverage or have benefits reduced due t age or health. You can get insured without answering any questions about your health. 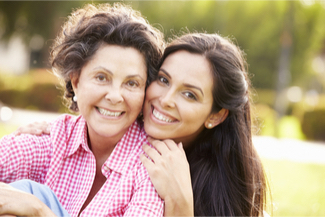 Discover how affordable no question life insurance can fit your personal needs and budget. The process is easy, you just request a free quote. Many people ages 45 to 85 choose guaranteed issue life insurance to help cover their final expenses. It can help provide peace of mind for you and protect your family from the financial burden of having to pay for your funeral and burial costs upon your passing. For Example: United of Omaha provides a 60 day money-back guarantee on their guaranteed-issue life insurance policies.